Psst... Would you like to try the best lemon tart recipe? Years ago, back around 1918, my Great Aunt Betty Parsons gave her treasured method for making lemon tartlets to my Grannie Bell after receiving her promise that she wouldn't divulge it to anyone. As a bonus for keeping our family's secret, you'll also get to try her old fashioned English "lemon cheese filling" for tarts or layer cakes. 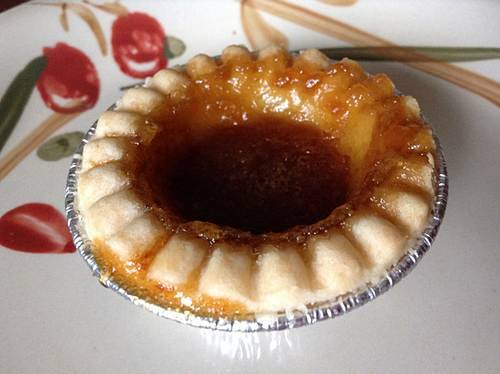 These tangy little tarts are so tangy and tasty that Aunt Betty didn't want people to know how easy they were to make. It was to remain a family secret. Thankfully, my 103-year-old Aunt Jessie Sayer has shared the old fashioned tart recipe with me, so now you can try it too. 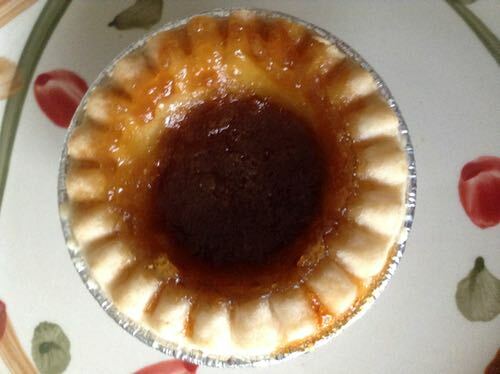 Once you taste the results, you'll agree that for its simplicity, it's the best darn lemon tart you have ever tasted. You'll need pastry for 1 dozen foil tart cups. Blend 1 cup brown sugar, the juice and a little grated rind of 1 lemon, and 1 egg. Line tart cups with pastry. Fill cups 3/4 full of the blended mixture. Bake at 375°F for 20 to 25 minutes. These tarts are always a family favorite when on a picnic or for a special occasion like birthdays, wedding showers, and parties. But remember, don't tell anyone how you made them. Keep Great Aunt Betty's secret! Cook ingredients in a heavy saucepan over low heat until thick. Keep stirring ALL THE TIME — it should look like custard. Put in pastry shells when cool or spread between cake layers. This is a traditional "cheeseless" English recipe that has been a favorite of several generations. It has always been called a "lemon cheese" filling.